If you're a parent who wants to bike with your young children, it can be tough to find the right gear or to get decent advice or even test out cargo bikes. Here in Vancouver there is no bike shop that specializes in family biking, so you need to spend a lot of time & energy going from one shop to another to, say, test out four or five different models of cargo bike. Seattle families are fortunate to have a bike shop where the kids have a play area & the owners are parents of young kids with a great selection of cargo bikes & child seats. One of those places that people go just to say hi & hang out. I heard about G & O Family Cyclery when they opened in Greenwood a few years ago & looked forward to visiting them next time we got down to Seattle. Then about a week ago, Greenwood blew up. Literally. A gas leak & subsequent explosion destroyed several businesses, causing heavy damage to G & O. Thankfully it happened in the middle of the night & only the firefighters who were on scene sustained minor injuries. However, recovering from this disaster quickly is not going to be easy. Insurance money will be a long time coming. 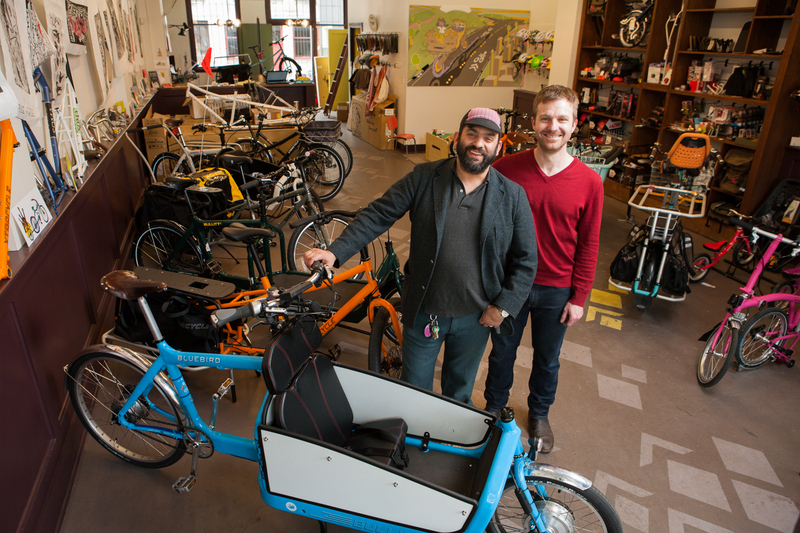 Davey & Tyler want to avoid laying off their employees, plus they want to keep doing what they love: providing family bikes & great service to the riders of Seattle. 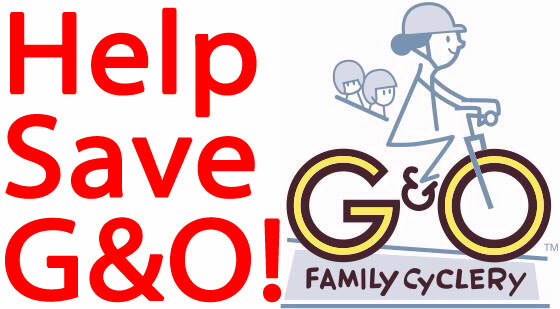 Well, not even just Seattle--I know a Vancouver family that travels all the way to Seattle to get biking gear at G & O.
G & O Family Cyclery owners Davey & Tyler need our help to rise from the ashes (literally). The community has rallied around them, children are donating the contents of their piggy banks, fundraisers are happening, but they still need a bit more money to get going in a new location. If you have a few bucks to spare, please consider donating to help them rebuild now. 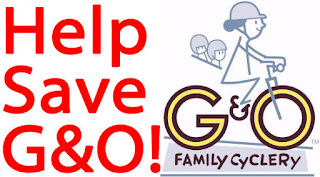 Visit the G & O Family Cyclery Go Fund Me page for more information & to easily donate online. We are just starting our search for a cargo bike in Vancouver and quickly realised that there is no one stop shop for families wanting to get kitted out. Can you recommend some good local bike shops that would be worth us checking out? I'd really like to try before I buy. Right now leaning towards a midtail as we only have one kid and a small dog.. Mighty Riders is also a good shop to pop in. They can build you an Xtracycle Edgerunner or Surly Big Dummy. Make sure you ask for Ed. Great! I will try and come on Sunday. My wife's away for a couple of days so looking for fun stuff to do with a four year old, plus it has the bonus of being bike related. I'll check out Bike Doctor. I know the place that used to be Dizzy on 4th has Yuba's too, and Dream Cycle has a Big Dummy build right now, but was looking for somewhere to check out an Edgerunner. Curious to know how many YVR cargo families go electric? My wife is slightly less enthusiastic about biking up hills than me.